Phoneix belongs to triazole group of fungicides. 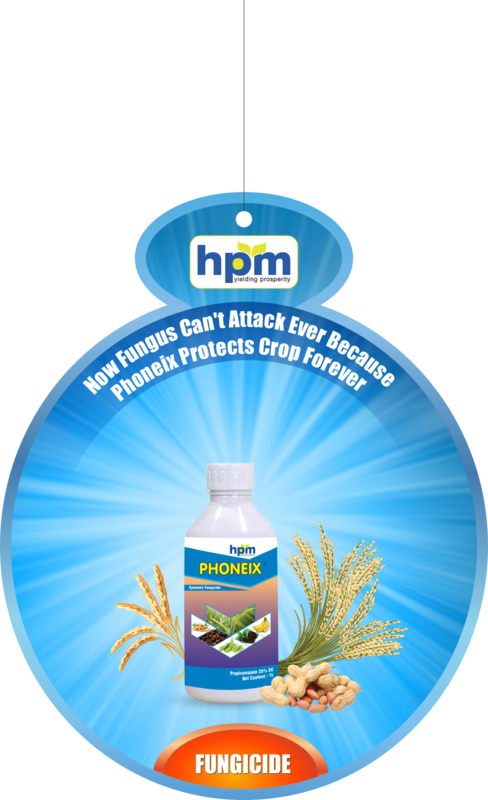 Phoneix is broad-spectrum foliar systemic fungicide. It is protectant, curative and eradicant fungicide with strong antisporulant action. This systemic translocation contributes to good distribution of the active ingredient within the plant tissue and prevents it from being washed off. It translocate acropetally in the xylem. Propiconazole is steroid demethylation (ergo sterol) biosynthesis inhibitor. Systemic foliar fungicide with protective and curative, with translocation acropetally in the xylem. It belongs to triazole group of fungicides. It is broad-spectrum foliar systemic fungicide. It is effective in controlling deadly diseases like rusts, bunts, blights and leaf spots infecting many crops, it has Long duration of control. Propiconazole content, percent by mass 88.0% Min. Acidity (as H2SO4), percent by mass, Max. 0.10% Max. Moisture Content, percent by mass, Max. 0.50% Max. Material insoluble in acetone percent by mass, Max. 0.15% Max. Environmental Toxicity The major sites of enzymic attack are the propyl side-chain and the cleavage of the dioxolane ring, together with some attack at the 2, 4-dichlorophenyl and 1, 2, 4-triazole rings. It is non toxic for Japanese quail, bobwhite quail, mallard ducks and Pekin ducks. It is non toxic for bluegill sunfish, rainbow trout and golden orfe. Non toxic to earthworms; not toxic to bees. Use under field conditions is not expected to result in adverse effects on soil micro organisms or on non-target arthropods.